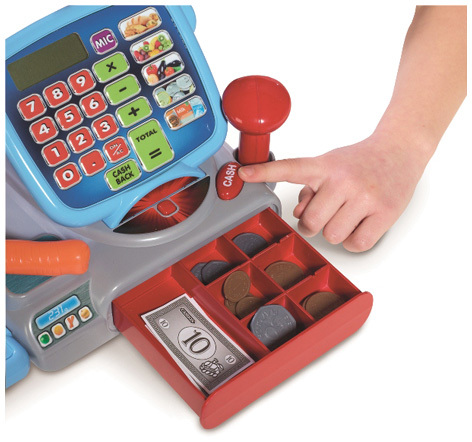 This shopping till toy from Casdon has a touch-sensitive screen and fully working calculator and microphone. 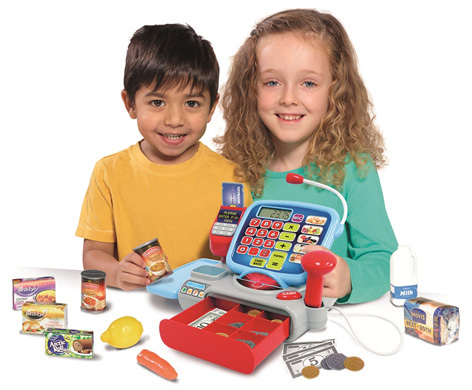 There’s a chip & pin feature, scanner, opening cash till and a selection of branded play food. Please tell us what you think of the Supermarket Till by Casdon.